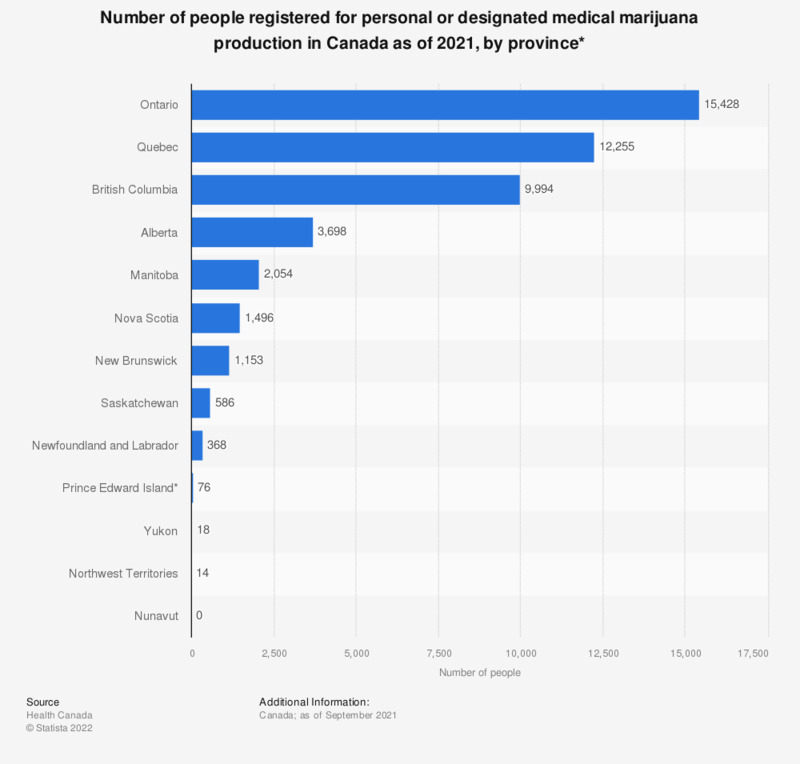 This statistic displays the number of people registered for personal medical marijuana production in Canada as of September 2018, by province. As of September 2018, 1,087 people in Nova Scotia were registered to be allowed to produce cannabis for their own medical purposes. * Production for own medical purposes.